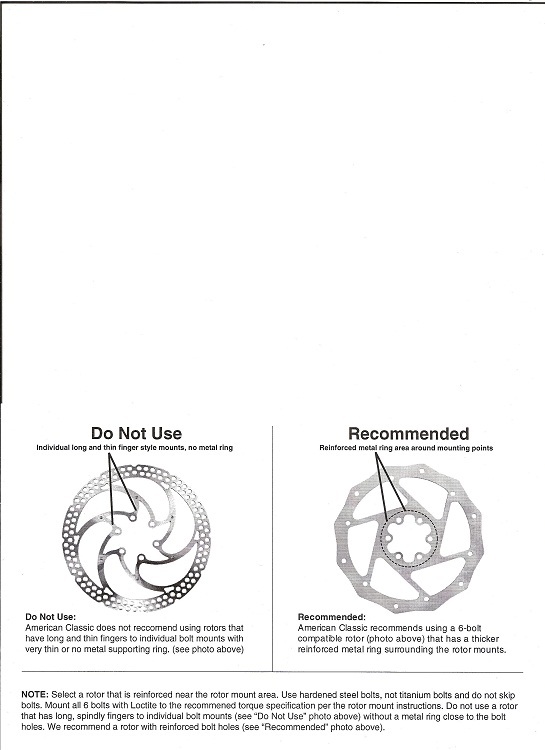 Thread: Am Classic Hubs, Why no Formula R1 Rotors? So my bike was already to build up and I open the box for my new American Classic tubeless 29er wheels and the first thing I see is this. A picture of Formula R1 rotors. I had already purchased the rotors, yes these exact ones! So now what? Has anybody had any experiance good or bad with this rotor and hub combination?